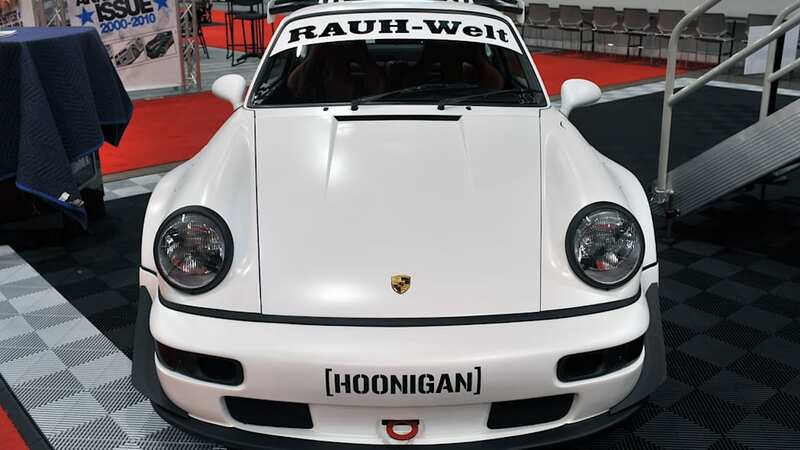 You might not have heard of RAUH-Welt, a small Japanese tuner that builds custom RWB Porsche models, but the company's popularity has blown up in the past year in part due to the obsessed boys over at Speedhunters. 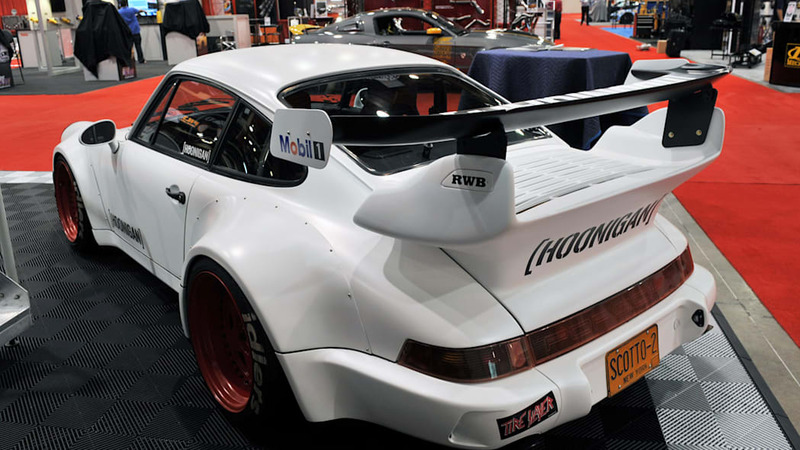 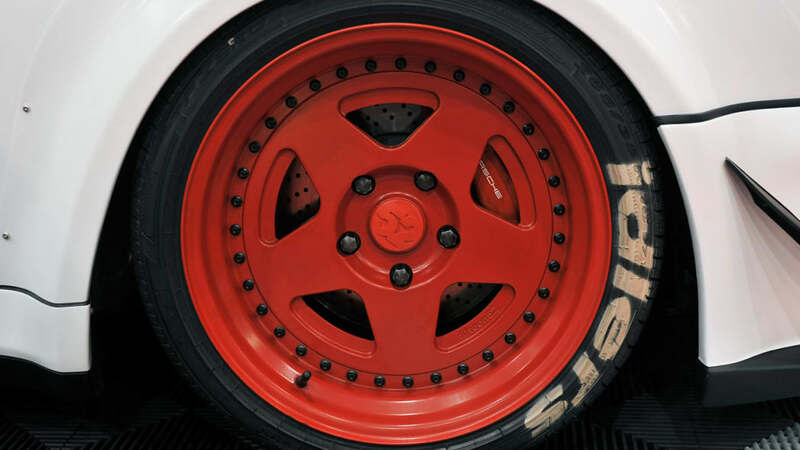 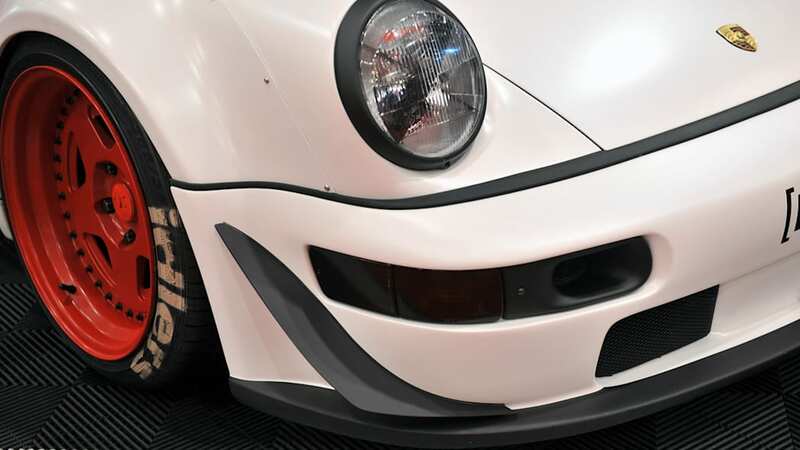 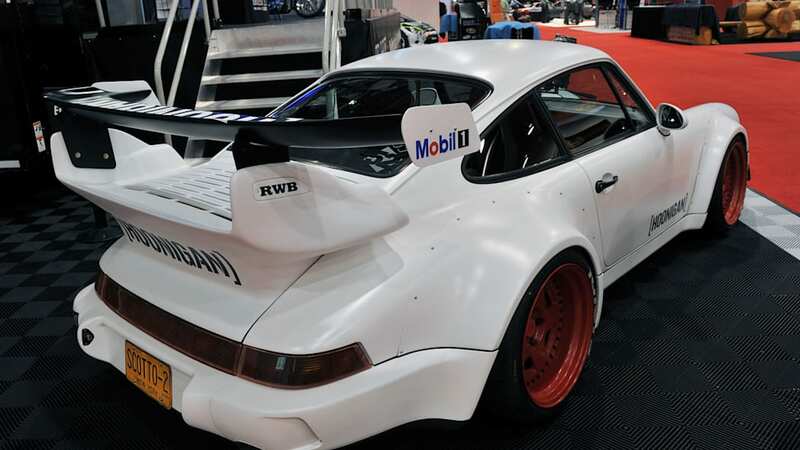 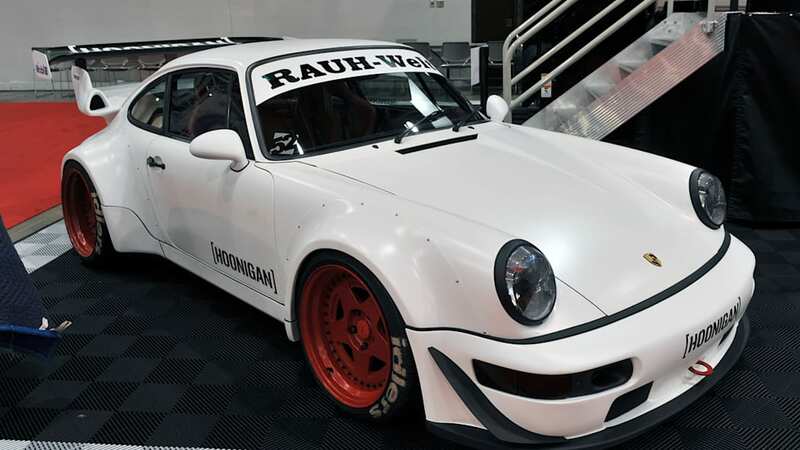 Previously, RAUH-Welt RWB Porsches have been the sole domain of Japan, but here at this week's SEMA show in Las Vegas, the company has unveiled their two latest cars, both of which were constructed here in the United States. 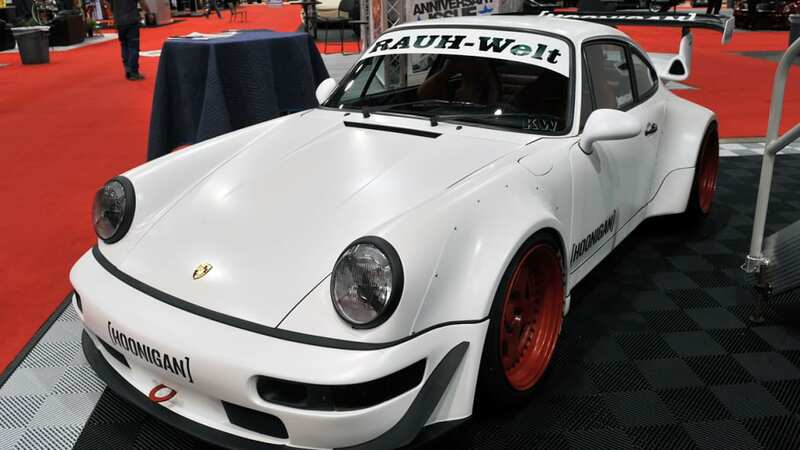 The car pictured here is owned by former 0-60 Magazine editor-in-chief Brian Scotto. 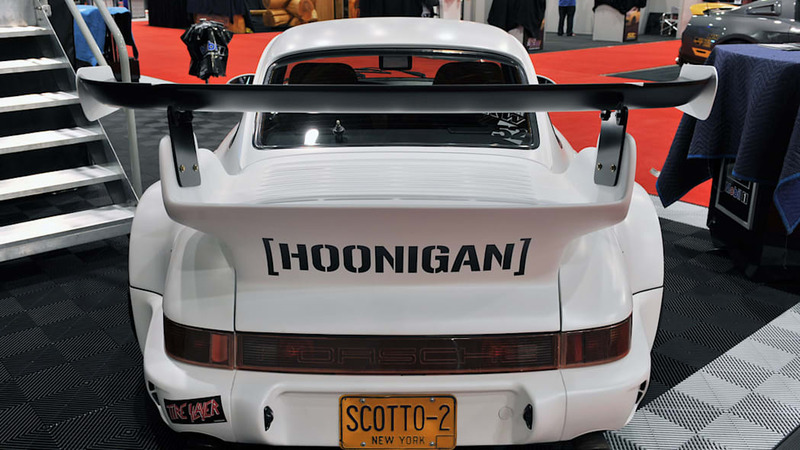 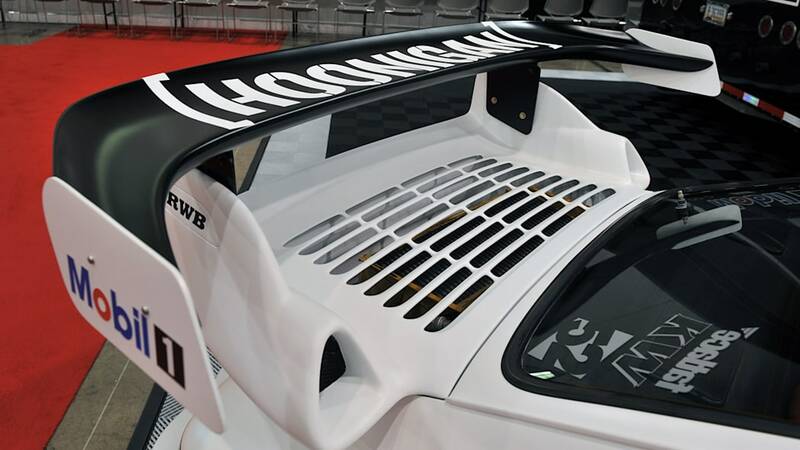 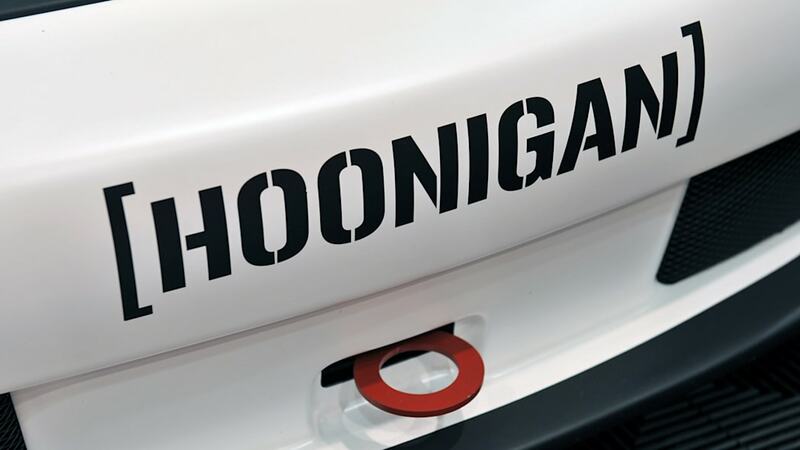 The white 911 was built in part to promote Ken Block's new Hoonigan brand (Scotto runs it), so we get the feeling that we'll be seeing more of this car on the interwebs in the near future.